So happy to see the monarch butterflies are back to lay their 4th generation on our milkweed plot. When they emerge from their chrysalis as butterflies they will fly to the coast (probably Monterey or Santa Cruz area) and winter over in the eucalyptus trees there. 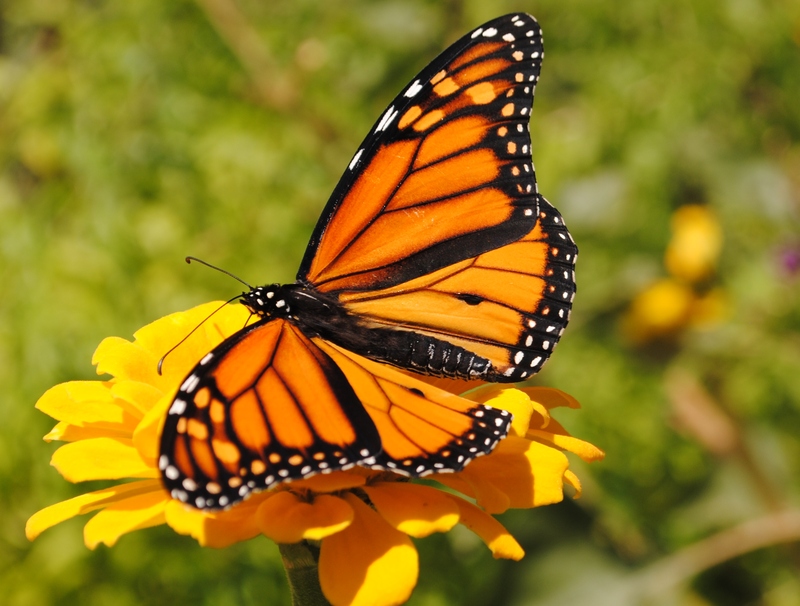 Then in the early spring they will search for mates, lay more eggs and those new monarchs will start the first generation again as they head north toward Washington and Canada; as their cycle starts again. Amazing how they do this every year! Also,has been a great summer for the bees in the garden. 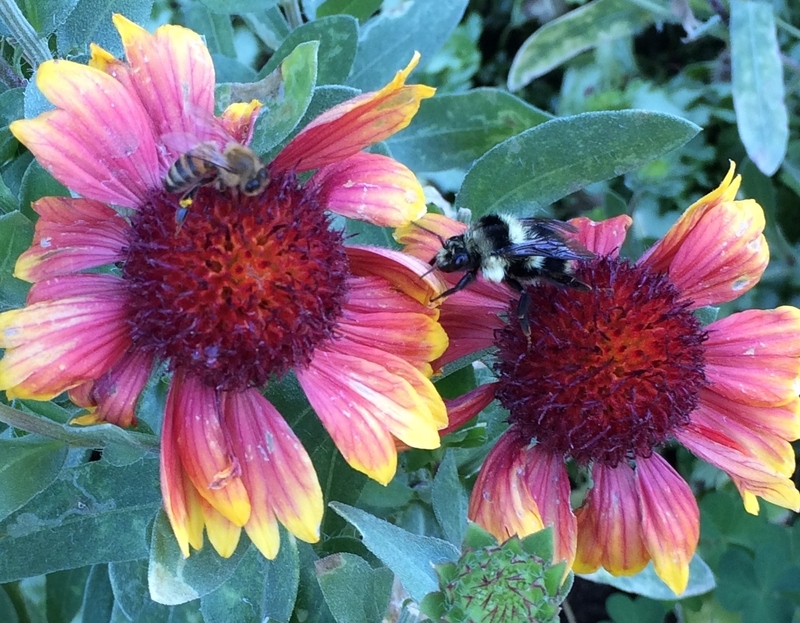 Love the bee “buddies” sharing a gaillardia blossom as they drink nectar and pollinate the plants. I have been worried about our honey bees this year with the continuing drought. They are not storing much honey but needing it for themselves, so have been feeding them all summer and hoping they can store enough to get through this winter. Just learned recently that bumblebees are great pollinators for tomatoes. We have lots of bumblebees, too, so this is good to news. All pollinators are welcome in the garden!